When he finds two kids bullying his sick son, Valente, Sr. is forced into a standoff with their parents and is killed. Young Valente, Jr. wanders off to another town to live with his Godfather. 20 years later, the grown Valente, Jr. (Valentin Trujillo) returns with revenge on his mind. He finds the town is under control of the two families, Beltran and Landeros. The objects of his rage haven't fared well though as one is crippled and the other is dead. Naturally, Valente creates new enemies in his old enemies the two bullies, Alberto (Fernando Balzaretti) and Jorge (Octavio Galindo). 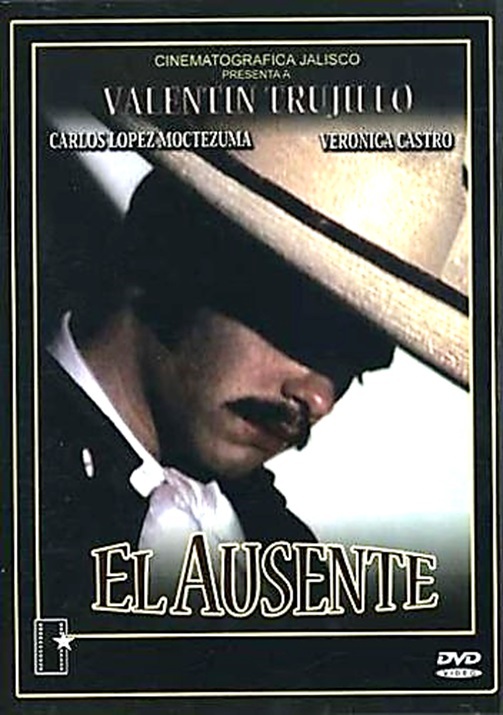 Matters get more complicated when Valente falls for Julia (Verónica Castro), who has been promised to Alberto for marriage. This western is mucho dramtico, but enjoyable and interesting if you want to see a young Trujillo. In his early 20s at the time, he hadn't yet fully grown into the bullet spraying tough guy I know from his 80s efforts, but he is still very good here. Love interest Castro is quite attractive as well.